On May 30.5 IE Business School's Venture Lab Accelerator will host it's Venture Day in Tel Aviv, which will focus on the EdTech Industry. IE Venture Day is an event that consist of conferences and startup pitch competitions. 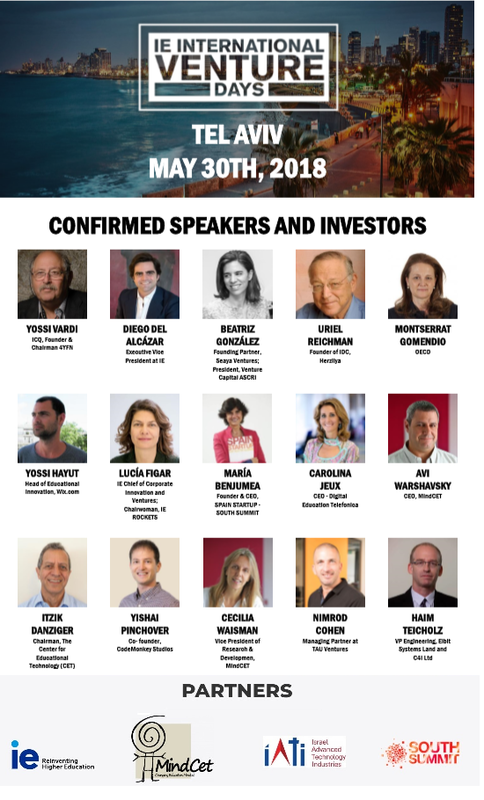 The event will be attended by entrepreneurs, investors, VC fund managers and leading thought leaders from the Spanish and Israeli startup ecosystem. This Could serve as a great chance to meet potential investors and explore collaboration opportunities in the European market.